Texas Premier Plumbing is a leading plumbing provider we offer 24 hours 7 days a week emergency plumbing services. Regardless of what time it may be, our emergency plumbing crew is just a phone call away. Our certified emergency plumbers gives a priority to an emergency plumbing calls !24 hours a day and seven days a week a real person to answer your calls and guide you how to minimize your damage , while emergency plumbing crews are the way to your location . 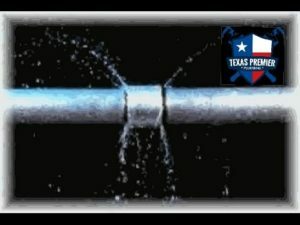 Texas Premier Plumbing trucks are fully equipped to address your emergency plumbing situation safe and fast ! As different then water leak you will have a doubt if you are right or wrong , Texas Premier Plumbing Emergency Plumbers highly recommends to take all precautions when it comes to gas smell or leak you believe in. Better be safe then sorry is what we believe on. Our Emergency Plumbing crew is just a phone call away !! We have all the right tools experience and knowledge to investigate the leak source and safely repair it . * Open all windows, doors and ventilate the property. * Turn off all type of ignitors as stove , space heaters . avoid using any phone, candles and a light switch. * Now , that you are safe and outside the property call Texas Premier Plumbing Emergency Plumbers for a fast service . Burst pipe is the second most common plumbing emergency , it can happen anywhere and anytime. Water leak can cause a huge damage to your property if you don’t stop it on time, one broken water pipe can deliver a flood in access of 5000 gallons in only 8 hrs. Corroded pipes and fittings ,pinhole in copper water lines, p.v.c / c.p.v.c lines- crack from heat ,pipe under pressure, movement of foundation and poor installation could be a few reasons to have a water leak . 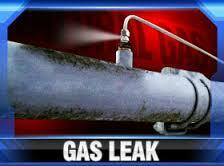 * Shut off the main water valve of the property to minimize the water damage. * Do not use any plumbing fixture. Texas Premier Emergency Plumbing crew is experience with all types of sewer backups and clog drain , in more then 20 years we have seen it all !! 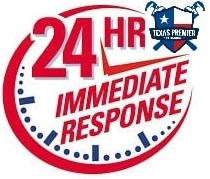 Sewer backup can be very frustrating , therefore, Texas Premier Plumbing Emergency Service is available 24 hours a day 7 days a week for emergency help . Dishwasher wont drain water ? Flushing a toilet and toilet overflow ? Lavatory sink filled up by “itself ” and not draining ? Air conditioner drain pan overflow ? Shower or tub drain stopped up ? Sewer water coming out of a cleanout ? one answer for all thoes questions, your drain line clog !! Texas Premier Plumbing Emergency Crews are one call away and we won’t leave you hanging. from a “soft ” clog like toilet paper to heavy grease buildup clog – we offer 100% guaranteed solutions .